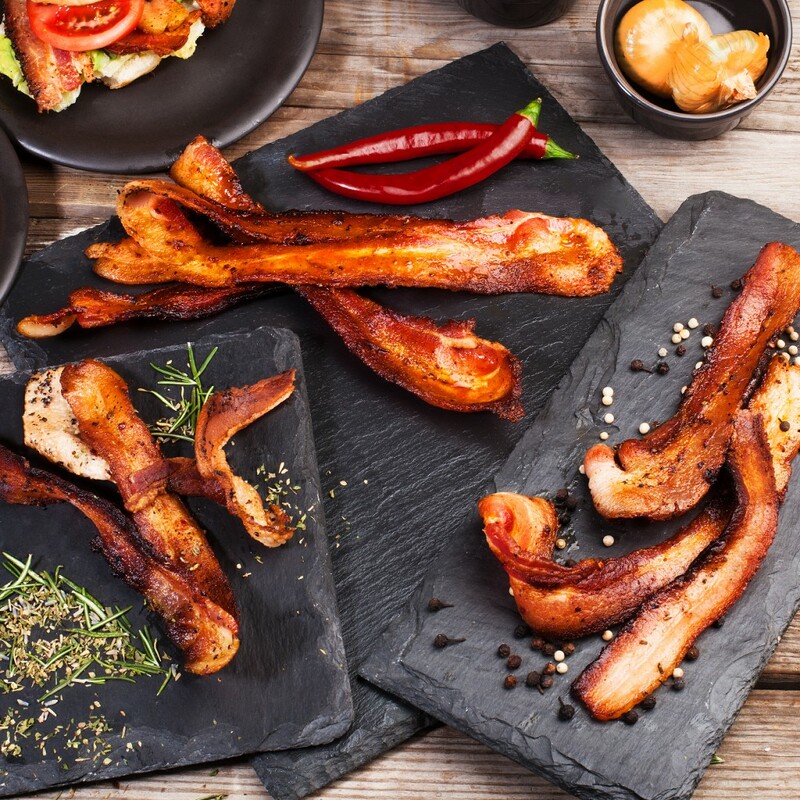 Because it’s Friday, and because I love ya, I’m giving away this exotic bacon sampler today from Pig of the Month. To enter, join me on Open Sky and leave a comment on the Bacon Lovers Feast page telling us how you’ll enjoy your bacon. Winner will be announced next Friday, when I’ll post another juicy treat for ya. Everyday for breakfast, lunch and dinner! My kids love bacon! I’m a big fan of wrapping bacon on anything and everything. Bacon wrapped asparagus, bacon wrapped burgers and round steak and bacon. Huge fan of chicken fried bacon and chocolate covered bacon. Ooh and bacon bits (freshly cooked, of course) in popcorn is fantastic! Not sure where I am supposed to comment …. but as I said somewhere else, I love bacon just about any way I can get it. I love BLT sandwiches and I especially love nice thick, crispy bacon in the morning with my eggs and potatoes! My girl loves bacon, so that’s what brought me to this site.